The Yamaha WaveRunner first came into development in 1983, before going on to produce its tandem-rider model in 1986—and ever since, the company has been among the leaders in the ever-growing personal watercraft (PWC) market. I can remember an old commercial for Yamaha audio equipment. In the spot, a man invited a woman to come over to his place and listen to his Yamaha. The point of the ad was to market its line of stereos. The woman responded by saying something like, “Why would I come over to listen to a motorcycle?” The ad made sense to me because I always associated the brand with motorcycles; however, the truth is that Yamaha first started building musical instruments in 1887, and has been at it ever since. It is the world’s largest manufacturer of pianos. In 1955, Yamaha Motor Company split off from Yamaha proper and began making motorcycles. It was the technology and expertise gained in the motorcycle industry that would yield the company’s first personal watercraft more than 30 years later. 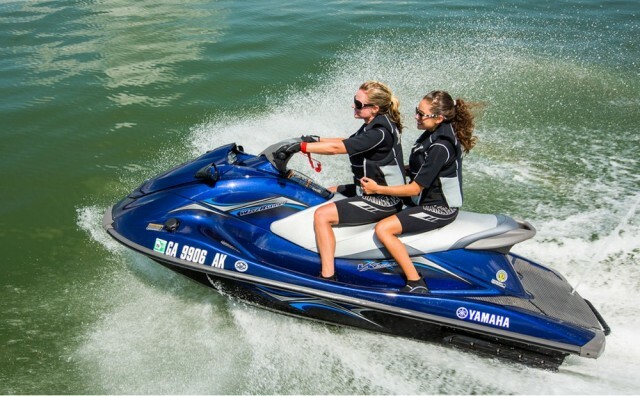 Yamaha began development of what would become its line of personal watercraft in 1983. The first prototypes were lightweight and didn’t have much power, so they were deemed unsuitable to the North American market, where the customers are, well, larger. Once the company had developed a watercraft that had static stability and was fun and maneuverable at speed, it launched its tandem-rider model in late 1986. 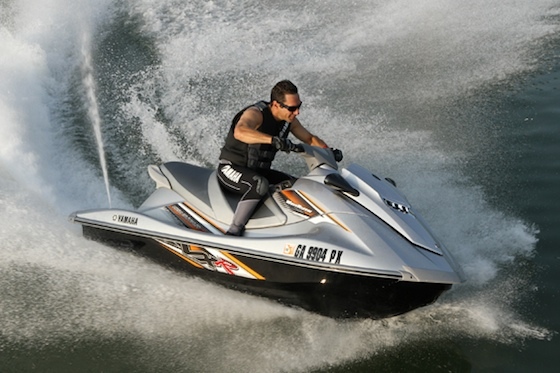 The WaveRunner Marine Jet 500T was born. Yamaha followed it up in early 1987 with a single-rider model called the WaveJammer, Marine Jet 500S. Neil Kobayashi, the development manager at the time, who was known as “WaveRunner Papa” led the efforts to bring the WaveRunner to market. Of course, we know Kawasaki had a head start on Yamaha because it had been selling its standup Jet Ski since 1973. To compete head to head, Yamaha introduced the Super Jet standup model in 1990, and the model remains in Yamaha’s lineup to this day. 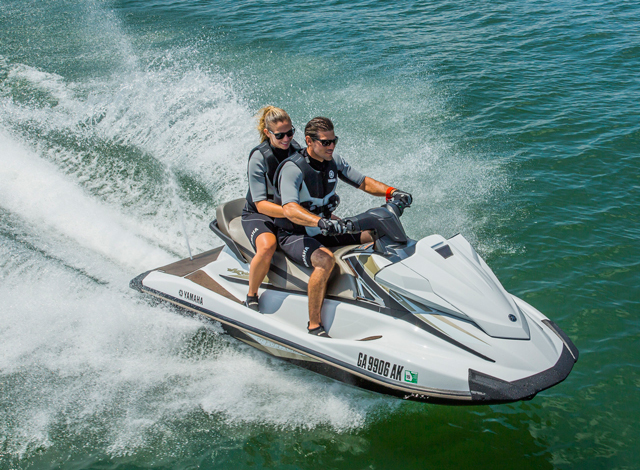 Watercraft would prove to be a good market for Yamaha because at the time it was one of three manufacturers in the PWC industry, which included Kawasaki and, of course, Sea Doo. As the 1990s wore on, the economy heated up and two more OEMs entered the market space: Polaris and Tigershark, neither of which still make PWC. 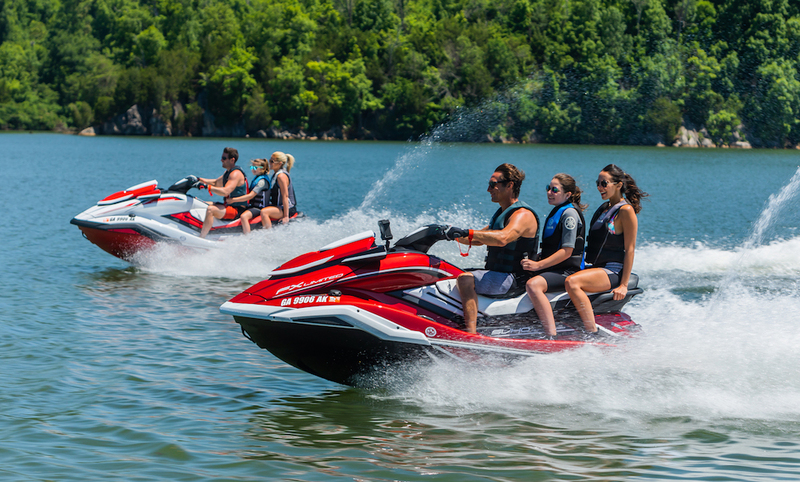 As the watercraft market matured, so did its buyers, and Yamaha was one of the first manufacturers to offer a three-person model. The 1999 SUV 1200 was groundbreaking in that it had enough storage beneath its aft saddlebags to conceal a wakeboard, a slalom ski and enough gear for camping or a daylong cruise. In all, the SUV had 116 gallons of storage, nearly four times more than any PWC offered at the time. With more racing championships than any other brand, Yamaha PWCs lead the way in speed. 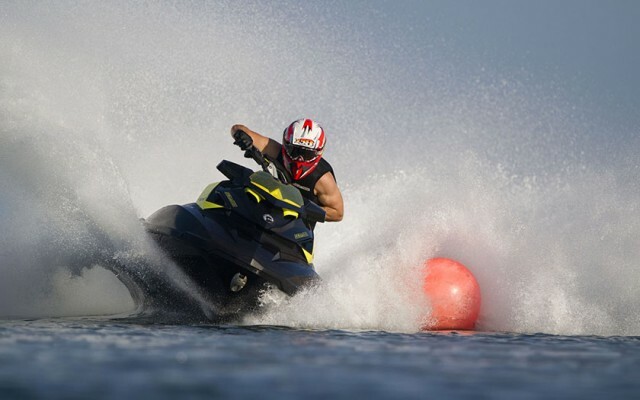 At the same time, Yamaha was building some serious go-fast watercraft, and the GP800 and GP1200 were part of an “arms race” in the PWC market. They were genuinely fast, with top speeds in excess of 60 MPH and acceleration that made it hard to hang on. 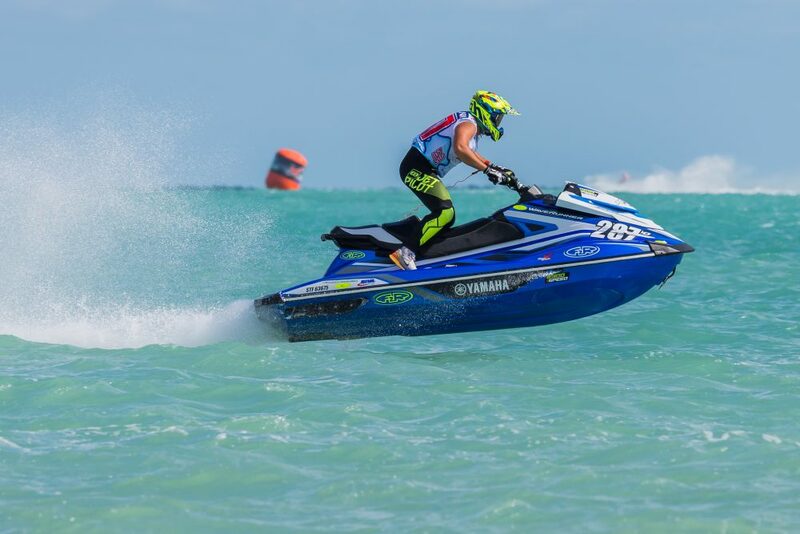 To date, Yamaha has more PWC racing championships than any other brand. Yamaha also was the first manufacturer to sell a PWC with a four-stroke engine, again drawing from its expertise in motorcycle engines. By the turn of the century, the idea of oil-spilling, smoke-spewing outboard and watercraft engines had gone out of favor in a sense because they were polluting the very environment people were out there to enjoy. The California Air Resources Board also played a part in the shift to four strokes. When the FX140 debuted in 2002, it was a watershed moment for Yamaha and the watercraft industry. Since then, two strokes have nearly disappeared from PWC, and we can all breathe a little easier as a result. 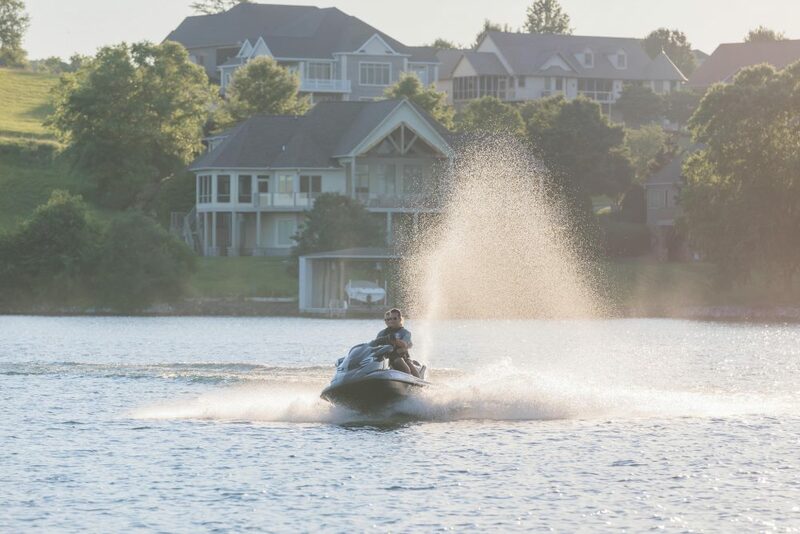 Its signature Visibility Spout shoots water 10 to 15 feet in the air in able to make the PWC more visible from a distance—one of many innovative safety features added by Yamaha. Another Yamaha innovation was the “Visibility Spout,” a feature that takes some of the water exiting the jet pump and routes it through a tube that exits the aft deck vertically behind the riders. The vertical spout shoots 10 to 15 feet into the air to make the craft more visible from a distance. It’s the equivalent of an orange flag on a kid’s bike. 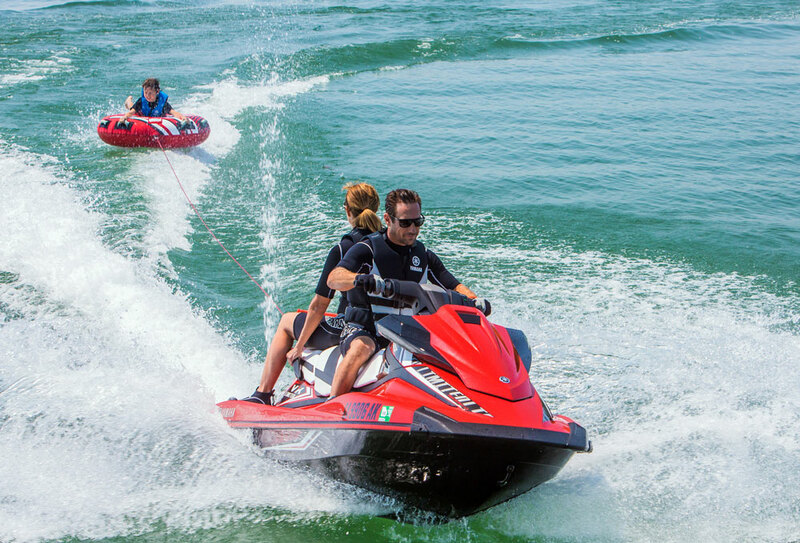 Next time you’re on the water where people are riding, see how noticeable the Visibility Spout really is. Yamaha has had the spout for a long time, and it was part of the march toward safety that Yamaha has continued in recent years. For example, the Ride system, which stands for “reverse with intuitive deceleration electronics,” provides independent function of the right and left levers. The right controls forward propulsion, as has been standard since day one, and the left controls reverse. That makes it possible not only to decelerate—a big complaint about PWC is that they have no brakes—but also to maneuver and dock without having to remove one hand from the handlebars to actuate a reverse lever. For long journeys, Yamaha recently add Cruise Assist, which is exactly what it sounds like: cruise control for a WaveRunner. Cruise Assist is one of the latest safety innovations from Yamaha. Safety has become a proven selling point, but Yamaha hasn’t lost sight of the allure of speed on the showroom floor. The current performance sit-down model, the GP1800 is fitted with a 1.8-liter supercharged four-cylinder engine. Yamaha doesn’t list horsepower in its specs, but when you consider that the GP1800 weighs 769 pounds, that’s an incredible thing to think about. That engine is larger than what came in a Mazda Miata the year the first Yamaha Super Jet came out. 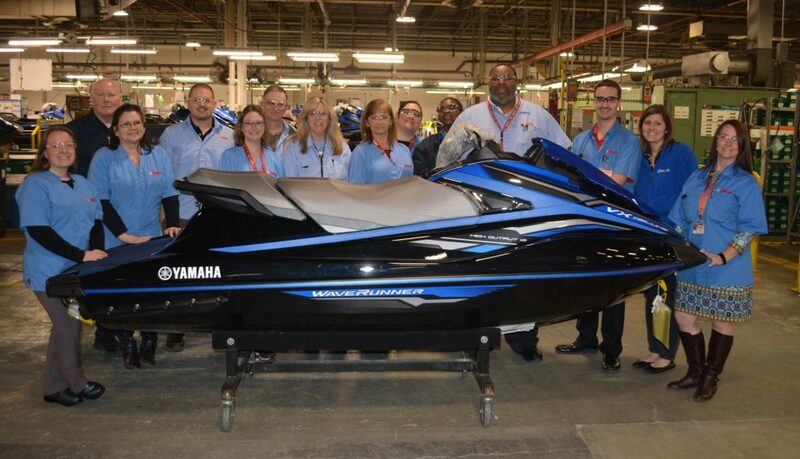 In March 2018, Yamaha produced its one-millionth WaveRunner at its Georgia-based manufacturing plant. Yamaha made a little history of its own again in March when it produced its one-millionth WaveRunner in its Newnan, Ga., manufacturing plant. 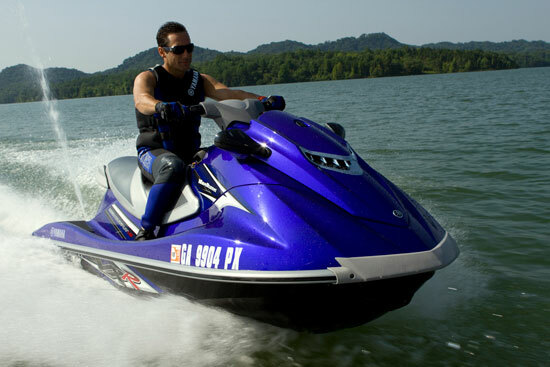 Yamaha’s current WaveRunner model line is arranged according to usage. The EX series is for light recreation, the VX for recreation and the FX is the luxury line. Yamaha’s performance race series is for going fast, and that lineup is poised to take Yamaha head on into the future.